CeCe Olisa is at it again. The “Plus Size Princess” from TheBigGirlBlog.com is launching the second round of the popular #PSPfit fitness and nutrition boot camp. Partnering again with nutritionist Abra Pappa, CeCe is setting out once again to bring #PSPfit to any woman in the world. The boot camp utilizes social media to bring nutrition and fitness coaching to its participants. Women of all sizes are encouraged to take part in the 30-Day Pre-Thanksgiving boot camp. Though based in New York, #PSPfit is available via YouTube workout videos through a sponsorship with Lane Bryant. The brand’s new activewear line, TruDry, will be featured in the #PSPfit fitness videos. #PSPfit subscribers will also receive a coupon from the curvy apparel retailer and contest winners will win gift cards. 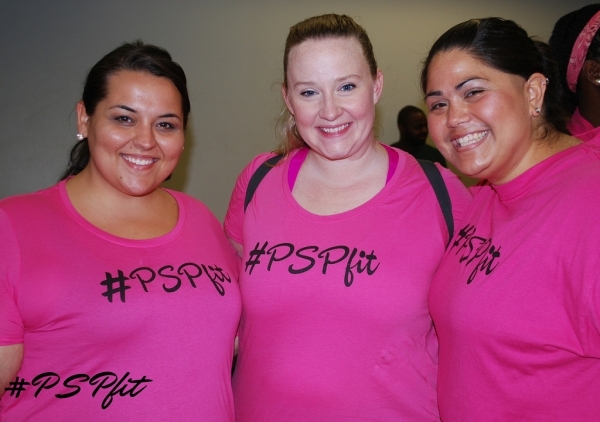 #PSPfit started as a social media movement to promote healthy curves. Since then, it has taken the belief that health can be found in any size and put together a program that allows women of any fitness level to benefit. In addition to workouts, participants in the #PSPfit Pre-Thanksgiving Healthy Curves Challenge will also have access to a nutritionist. As soon as an individual has signed up for the boot camp, they will start on their clean eating journey. Helping women reach their fitness goals, whatever they may be, is a core value of #PSPfit. The hope is that through the boot camps and social media interaction, women around the world can take charge of their body. A virtual membership includes 30 days of meal plans, grocery lists and weekly nutrition guidance. Also included are weekly fitness videos with routines designed by Personal P.E.P.P.E.R., 30 days of unlimited yoga sessions from YogaWorks, access to a private Facebook group moderated by #PSPfit professionals, a 7-day pass to a nearby YogaWorks studio, and discounts and giveaways from Lane Bryant Activewear. Women in the New York and New Jersey area receive admission to the weekly group workouts and nutrition classes in New York City in addition to the rest of the membership package. To register for the #PSPfit Pre-Thanksgiving Healthy Curves Challenge, visit www.pspfit.com. Roni Noone’s #WYCWYC Challenge Inspires the Interwebs to Move!